Pixia is the English version of Japanese software used for retouching and painting for color graphics developed and created by Isao Maruoka. But due to its available features, it became so popular that its user community itself upgraded Pixia and created Pixia. 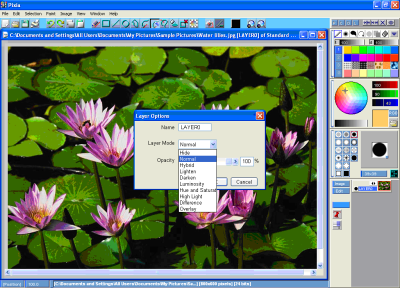 This software supports layer and masking and many more features. Brush tip customized by you and use of file as the brush tip is possible using this software. This software uses most common available techniques for editing. This software is also available in German, Korean, Polish, Chinese- Simplified and Traditional, Hungarian, Spanish, Italian, French, English versions. If your requirement is creation of computer graphic using scratch which is advanced than what available on MS PAINT so going for Pixia is best solution. 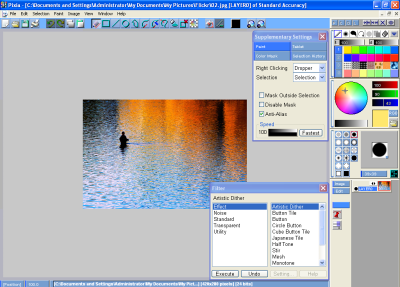 The available interface in Pixia cab is counter-sensitive but the available benefits are more than the drawbacks due to this Web-Designer Freebies rate this software 4.5. It’s the best image editing and drawing software which is available free. 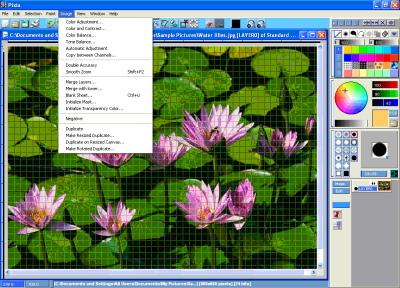 Unlimited layers (10240 X 10240) are supported by this software. It can undo the created image 100 times. You can draw images which are professional quickly and enjoy it too. Image creation can be done using our own created graphics for the color, we can choose colorful gradient, and solid color too. Drawing of our own pen tips is also possible. But with so much advantages there are some drawbacks too as some of the features available are counter-sensitive which can irritate you very much that too for simple operation. So the easiest solution is keeping the help file with you and read it when this problem occurs. Also the big disadvantage is that this software does not support .gif format and also some of the popular formats available. You can paint using much number of brushes available in different shapes and sizes and your creations can be filled using solid colors, graphics and different gradients. When you draw using this software you feel that you are using actual brushes holding you it in your hand. You can use layers without which any painting software is incomplete. There is no limitation on use of number of layers. Blending of layers in different ways such as lighten, darken, difference, luminosity necessary for advanced image creation is possible. Manipulation of images with matching filter technique is also possible. Cropping, adjusting the colors, manipulating the channels is possible too.